FM Radio Station 100.2 Tando Muhammad Khan Sindh. This FM Radio Station is presently working in Tando Muhammad Khan Sindh with best quality service and providing best information and quality programs like FM Radio Umerkot Sindh. This FM Radio broadcasting daily news updates time to time. This FM licensed from Pakistan Electric Media Regulatory Authority (PEMRA), the frequency of 100.2. This FM Radio, is listened in urban and rural areas of Sindh, where the Radio is listened in Tando Muhammad Khan District and other local areas. This FM Radio is very popular in all over Sindh and also Broadcasting by online in all over the world. 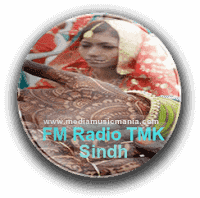 This FM Radio is providing entertainment to the peoples of Sindh and also you can listen online best informative programs in quality Sindhi Music, latest News and updates time to time like FM Radio Ghotki. This FM Radio is very poplar in the surrounding areas of Tando Muhammad Khan and peoples of other local areas. This FM Radio is very popular and its present location in Tando Muhammad Khan Sindh, near Hyderabad. This FM Radio Broadcasting and covers the areas of Talhar, Matli, Golarchi, Badin, Mirpur Bhatoro, Daur, Sujawal, coastal areas of Thatta District, Matiari Town, Tando Allahyar, Kotri town, Kotri Industrial area, Jamshoro town, Universities at Jamshoro, and some parts of Sanghar District including Shahdadpur and Tando Adam and a minor areas of District Mirpurkhas. This FM Indus Radio providing quality programs for the peoples of Sindh. This FM Radio is providing best service in all over Sindh such as latest news updates and source of informative programs in most rural areas of Sindh such as Thatta, Badin, Therparker and other parts of Sindh.